1. Combine the lemon juice with the water and sugar in an 2-quart pitcher. Stir or shake vigorously until all the sugar is dissolved. 2. Slice two of the remaining lemon rind halves into fourths for a total of eight pieces, then add the rinds to the pitcher. Add ice to the top of the pitcher and chill. 3. 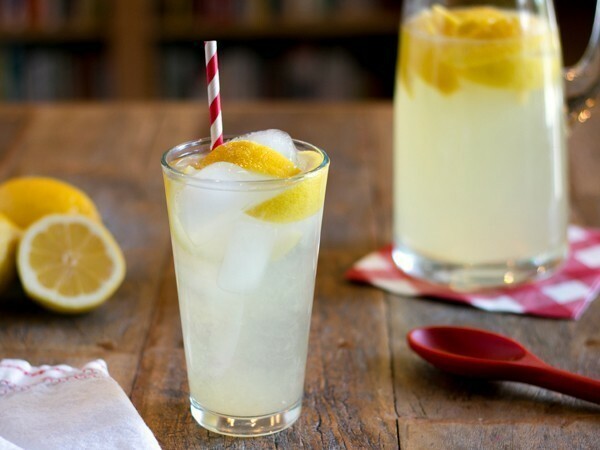 Serve the lemonade over ice in 12-ounce glass and add a lemon rind slice to each glass. 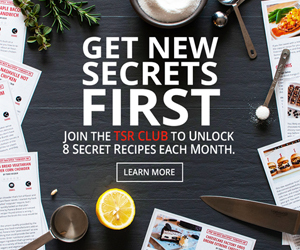 Makes 2 quarts, or 8 servings. This is more like the old recipe when Dave Barham was still alive, not the citric acid-laced stuff of the last 15 years. The difference is that the lemon wedges were crushed directly INTO the water, ice, and sugar, giving it a really FULL lemon flavour. The lemons weren't juiced, they were sliced into wedges and thrown in the mixing bin and shmushed to extract both the juice and oils from the peel. Muddling the rinds in each glass would give it more of the true old-style taste.